Fifteen years ago, many of us watched the Extreme Makeover shows that were popular on TV. 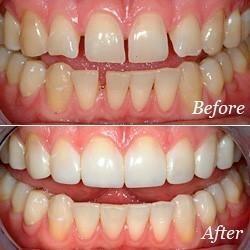 They of course involved major dental changes, mostly in the form of porcelain crowns or veneers on multiple teeth. It was amazing to see. 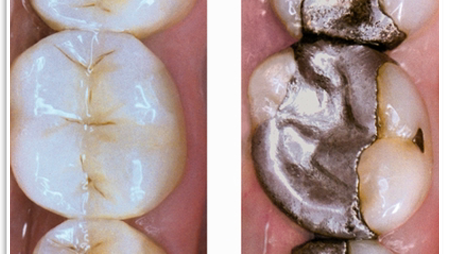 But what a lot of viewers didn’t realize, and what patients today even don’t often realize, is what it takes to put a porcelain piece on a tooth that will not only look good, but function well and last. 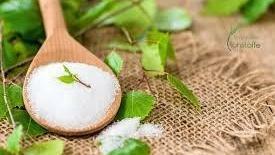 Most people have never heard of xylitol. It is a sugar alcohol, so has a low glycemic index and can be consumed safely by diabetics. But its oral benefits were discovered by accident (as many things are it seems) through its use as a nasal spray to clear the sinuses of bacteria. When bacteria metabolize or “eat” its five-carbon sugar, it causes the bacterium to die. In the last few years, its use in dentistry has really picked up due to its ability to alter the bacterial population of the mouth, especially for cavity-causing, acid-releasing bacteria such as Strep mutans. Welcome to our first blog post! We thought it would be a fun way to chat a little about the things we encounter, study and think about every day in relation to not just teeth, but "bites", jaws, muscles, airways and whole bodies.